Few accessories match the exquisiteness and finesse of a luxury watch. A luxury watch is one of those prized items we all dream of owning at some point, and a lot of people are saving towards getting their first luxury watch. Whether you are looking to buy your first luxury watch or add to your growing collection of luxury watches, there is always something new and exciting enough to catch your attention in this category of watches. Identify why you need a luxury watch and you’ll have a clear inspiration to buy the right watch. Some people like to wear their luxury watches to work every day. Others only strap them on during special occasions and one-off events where impression is an end goal of the one-on-one interactions at the event. Either way, your luxury watch must live to its billing as a rare, expensive and refined accessory that only a few have the privilege of owning. Luxury watch manufacturers go to great lengths to make this possible, as can be seen in the exclusive designs and features of their luxury watches. Each detail of the watch, from its shape and design to the choice of strap used and materials used to make its different parts, is carefully worked on and finely polished for an out of the ordinary look. All the major watch brands of the world have luxury watch collections in their inventory. Breitling, Tag Heuer, Rolex, Longines, Audemars Piguet, Bell & Ross, and other notable Swiss watch makers all have lines of luxury watches that are worth looking at. Buying from such renowned names in the industry gives assurance of the quality of the watch you’re buying. Their luxury watches are a lot more expensive than those of newer, less known watch companies, but what you pay is a reflection of the high quality of manufacture and premium components used to make the watch. You also have access to the brand’s service centers anywhere in the world, meaning should anything go wrong with the watch, the company has your back. One of the things that stand out about luxury watches is their styling. High aesthetics and a good color combination are key considerations when making these watches. As a result, you have a wider pool of designs and style options from which to pick your luxury watch. A gold case, diamond face, silver bracelets, gemstone encrusting, and leather straps are some of the options you can choose. Ladies’ luxury watches are smaller than men’s and feature a more delicate design. For even greater versatility, go for a model with interchangeable straps so you can give your watch a different look on different days. Luxury watches are not the preserve of a few. With the growing number of new watch companies venturing into the luxury watch market, the variety of luxury watches in the market has increased, and so has the price variation. Now, you can get entry level luxury watches that are priced far below regular luxury watch prices. 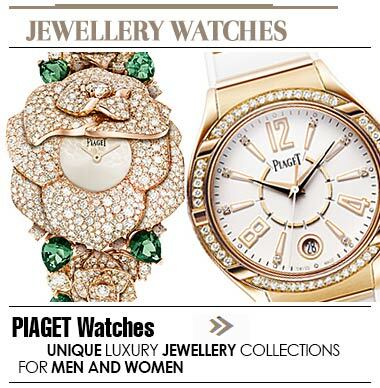 Looking for luxury watches? Check out the nearest stores: luxury watches Abu Dhabi, luxury watches Bahrain, luxury watches Dubai, luxury watches Kuwait, luxury watches Oman, luxury watches Qatar.